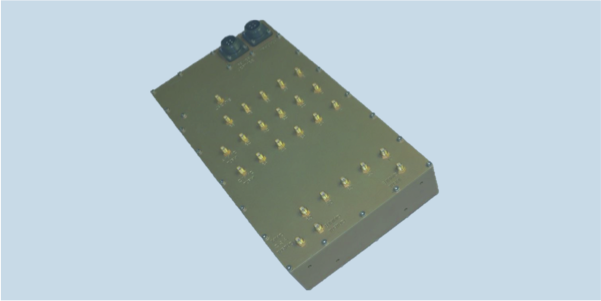 Each channel has input power limiters, ESD protection, low noise amplifier and band switch. A calibration band can also be selected, providing balanced 5-way split of an internally generated or externally supplied calibration signal for chain and receiver calibration. The switch accepts a wide input voltage range and is controlled via EIA-485 (RS-485). All switching is solid state for rapid band change and unlimited switching cycles. On bands A and B, a software controlled DC output is provided to actuate the polarization control relays employed in the DF-A0085 antenna.